You have likely heard that Coenzyme Q10 levels can be depleted when you take cholesterol-reducing statin drugs or statin-like supplements (such as red yeast rice). But how is that a problem? And what is CoQ10 anyway? CoQ10 is an antioxidant that occurs naturally in the body and is used in cells to create usable energy. This energy-creation process is called the ATP cycle. Your body takes raw nutrients from your food and refines them into the fuel that your individual cells can actually use in order to function—that fuel is called ATP. CoQ10 is required to create ATP. No CoQ10, no ATP. No ATP, no energy! Here’s the tricky part. We often take statin drugs to lower cholesterol, which is meant to support heart health. But the main side effect of statins is the depletion of your body’s CoQ10 levels. That side effect directly harms heart health—because the heart is the body’s most energy-hungry (ATP-hungry) organ. Think about it. Heart muscle is the one muscle that NEVER rests. It needs ATP constantly. Low CoQ10 levels translate into an energy-starved heart. We take statins to support heart health, but they can cause a side effect that hurts the heart. It’s a double-edged sword. Thankfully, there’s a solution. It’s easy to see why CoQ10 supplementation is vital for anyone who takes statins. High-quality CoQ10 supplementation makes possible to keep taking statins while avoiding a dangerous side effect. Today, all cardiovascular specialists recognize that supplemental CoQ10 is essential when taking statins. If you take a statin drug to lower your cholesterol and your health care provider has not recommended CoQ10 supplementation, it is vital that you discuss this topic with your physician immediately. Understanding CoQ10’s relationship to ATP (cellular energy) makes it easier to understand why CoQ10 is important for lots of other people, too. Statins can create a CoQ10 deficiency, but so can poor or insufficient diet and extreme stress. Endurance athletes often supplement with CoQ10 because of their increased needs for cellular energy throughout the body. 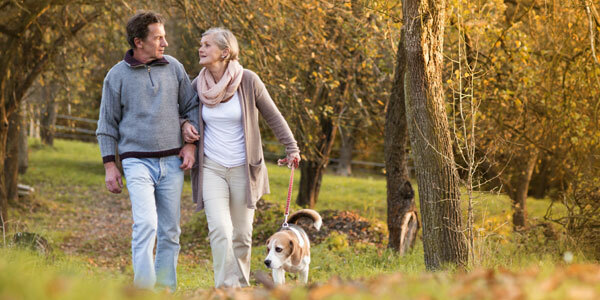 Mature adults also find benefit from CoQ10 supplementation as levels naturally decrease with age. Really, who doesn’t want more whole body energy? Whether you are a cardio patient, a mature adult, or an endurance athlete, CoQ10 supplementation could be vital for your long-term health. Use the CoQ10 Association’s Member Directory to find a solid, high quality CoQ10 product manufacturer. Why is CoQ10 So Important? Coenzyme Q10 is essential for producing energy throughout the body—especially in heart muscle tissue. Deficiency can result in poor function of the heart itself, including arrhythmias and heart failure. Statin users, athletes, and mature adults should get their serum CoQ10 levels checked regularly. Though, it is advisable for at-risk populations to supplement regularly simply to maintain healthy levels. Once a serum deficiency is present, the heart muscle tissue is already experiencing negative effects. Prevention is always the best approach! The CoQ10 Association is dedicated to generating awareness about Coenzyme Q10. We want to hear your personal story about how CoQ10 has impacted your health, athletic performance, or overall well-being. Please email us at info@coq10association.org with your CoQ10 story.